As too often happens, in this whirlwind life, I lost my roundtoit. I received an email from the Western North Carolina Alliance at the end of November announcing public information meetings that would be held across the region regarding the settlement between the Tennessee Valley Authority (TVA) and the state of North Carolina over air pollution from TVA’s coal-fired power plants in neighboring states. These meetings were scheduled for this week. The closest one was last evening (Dec. 6) at Haywood Community College. There will also be one this evening at 5:00 p.m. in the Broyhill Conference Center at Appalachian State University in Boone. There was one Monday (Dec. 5) in Murphy and while I regret not getting this information out in advance of these meetings, I still think this settlement is (in today’s political climate) important to note. District of Tennessee signed a consent decree. The decree ends a round robin of lawsuits initiated by North Carolina Attorney General Roy Cooper in 2006 claiming that pollution from TVA’s coal-fired plants in neighboring states created a public nuisance because of their detrimental impacts on the health of North Carolina citizens, its natural environment and the state’s $12 billion tourism industry. In 2009, Federal Judge Lacy Thornburg ruled that the TVA should clean-up four of its coal-fired plants situated closest to North Carolina’s border. Thornburg found there was insufficient evidence to prove seven other TVA plants located farther from the state were a nuisance. However, TVA appealed and in 2010 the Fourth Circuit Court of Appeals reversed Thornburg’s ruling. Cooper was petitioning the Supreme Court to hear the case when TVA agreed to the settlement. The settlement is actually more comprehensive than Judge Thornburg’s initial ruling, impacting 11 TVA plants in Tennessee, Kentucky and Alabama. The settlement calls for TVA to invest between $3 billion and $5 billion in new pollution controls plus invest $350 million in clean energy and efficiency projects. 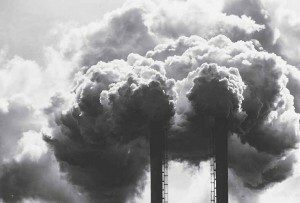 The impetus for the original lawsuit was North Carolina’s Clean Smokestacks Act, which was signed into law in 2001. This act required utilities operating in the state of North Carolina to reduce emissions. The problem, especially for Western North Carolina (WNC) was that the largest polluters were not in state but rather those coal-fired plants just to our west. Prevailing winds and weather patterns made WNC a toxic dumping ground for these plants, whose emission standards did not come close to those required by N.C.’s Clean Smokestacks Act. The Environmental Protection Agency (EPA) believes this settlement could prevent as many 3,000 premature deaths, 2,000 heart attacks and more than 20,000 asthma cases annually. The total savings in annual health costs would be more than $25 billion. The impact on tourism dollars is hard to quantify but imagine the Smokies where you could see peaks from horizon to horizon rather than silhouettes shrouded in brown haze and when you decided to hit the Mt. LeConte trail in July there wouldn’t be “ozone alerts” posted at the trailhead. I believe it’s important to note this settlement in this political climate – with it’s national, state and local pontifications citing onerous environmental regulations; calling for the dissolution of the EPA and exalting Free Market Capitalism as the solution for any/all environmental, economical and socio-political dilemmas because Free Market Capitalism doesn’t care one whit about your health; about your children’s health; about your grandchildren’s health; or about the environmental health of the planet. Free Market Capitalism cares about the bottom line. And as it is practiced today – cares only about today’s bottom line – not the bottom line 100 years from now. So I salute the North Carolina General Assembly that passed the Clean Smokestacks Act and N.C. Attorney General Roy Cooper for fighting the good fight and I hope that my little girls feel the magic of these mountains in their bones the way I do and that when their children hit the trail to Mt. LeConte they can breathe in draughts of clean mountain air as they climb.